“Nine Lives” follows the exciting life of Tom Brand (Kevin Spacey), an undeniably successful, impossibly wealthy, but unapologetic jerk. Striving to build the tallest skyscraper in the Northern Hemisphere, the daredevil billionaire will sacrifice anything — even the love of his family — to complete an architectural marvel nearly as gargantuan as his ego. Tom’s workaholic lifestyle has alienated his long-suffering family, including his devoted wife Lara (Jennifer Garner), neglected adult son David (Robbie Amell) and starved-for-attention young daughter Rebecca (Malina Weissman). When Rebecca’s 11th birthday arrives, the girl begs her father for the same present she asks for every year: a cat. Tom hates cats, but reluctantly finds himself in a magical pet shop owned by the quirky Felix Perkins (Christopher Walken). The peculiar proprietor knows exactly what Brand needs — and its name is Mr. Fuzzypants. After suffering a fateful accident on the way to Rebecca’s birthday party, a horrified Tom discovers that while his human form is lying comatose in a hospital bed, he is watching events unfold from inside the body of the cat. 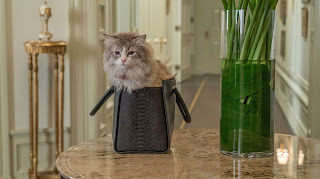 Trapped inside Mr. Fuzzypants and trying desperately to make his loved ones aware of his situation, he soon realizes that if he is ever to earn back his human existence, he must reconnect with his family and become the husband and father they deserve. 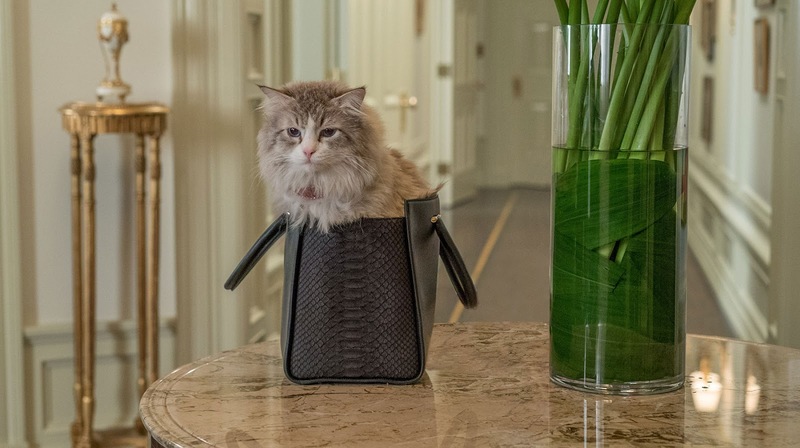 Visual effects supervisor Craig Hayes, who was given the daunting task of blending the film’s real-life felines with its computer-generated ones says that there’s nothing funnier than real cats. Mr. Fuzzypants is actually played by six different cats, each trained to perform a different set of tasks. The cast of animal actors was overseen by a pair of professional trainers who have a long history with Sonnenfeld. “Barry’s worked with Janine Aines and Christie Miele for a number of shows, including the three Men in Black films,” explains Hayes. Constant food rewards worked like a charm when it came to getting the cats to perform action scenes like the one in which Mr. Fuzzypants runs away with Lara’s car keys. “Keeping the cats focused required desensitizing them to their surroundings, such as sudden movements and sounds,” explains the trainer. “Nine Lives” opens August 17 in cinemas from Pioneer Films.